The company also says that the 100kWh battery in the new electric vehicle helps increase its range. Tesla has announced that its new Model S P100D with Ludicrous mode is the third fastest accelerating production car ever produced. The company claims that the vehicle will be able to accelerate from 0 to 60mph in 2.5 seconds, and compared its new car to vehicles from renowned sports car manufacturers like the Ferrari LaFerrari and the Porsche 918 Spyder. Headed by the mercurial Elon Musk, the company noted in its blog that both vehicles were million dollar vehicles with a limited run and could not be bought new. Further, since they were sports cars, they offered two seats with very little luggage space. The Tesla Model S P100D, meanwhile, offers four doors and seats up to five adults along with two children, and lets drivers carry luggage as well. The company says that the 100kWh battery increases the range of a Model S to an estimated 315 miles on the EPA cycle, and 613 km on the EU cycle. Tesla claims that the Model S P100D is also the first electric vehicle to go beyond 300 miles, and is the longest range electric vehicle in production. The bigger battery pack is also available in the company’s other vehicle, the Model X. Tesla says that with the new battery, the new vehicle can accelerate to 60mph in 2.9 seconds. Further, the new Model X now has a range of 289 miles EPA estimated, and 542km in EU on a single change. Further, the vehicle is also a pure-electric SUV, and can seat up to seven adults. Tesla notes that customers who had ordered a P90D Ludicrous, but have not taken delivery, can upgrade to the new model for $10,000. Existing P90S Ludicrous owners can also upgrade, but will have to pay $20,000 as the 90kWh pack in their existing vehicles will have to be recycled. 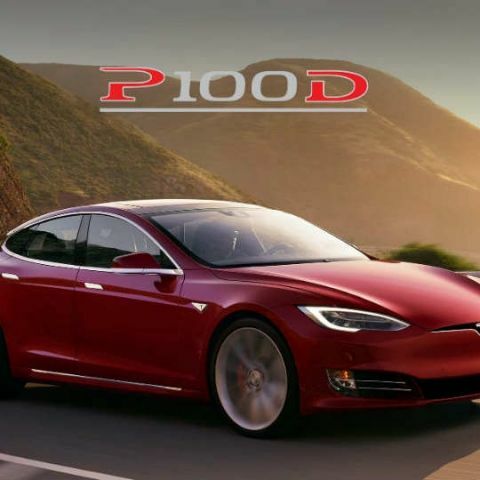 The company also notes that the sales of the P100D Ludicrous will help pay for Tesla’s more affordable car, the Model 3, which is under development. Can a partition be in raid 0 with another hard disk? can we run linux os in every laptop specially in amd\'s ? From where to check Model Number of my laptop? which raspberry PI model I can use for TORRENTING ? can we send mail from smartwatchs?